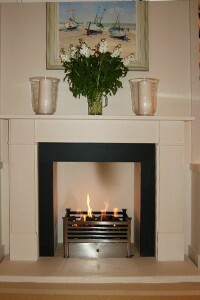 Limestone fireplace installation in Clapham, London. 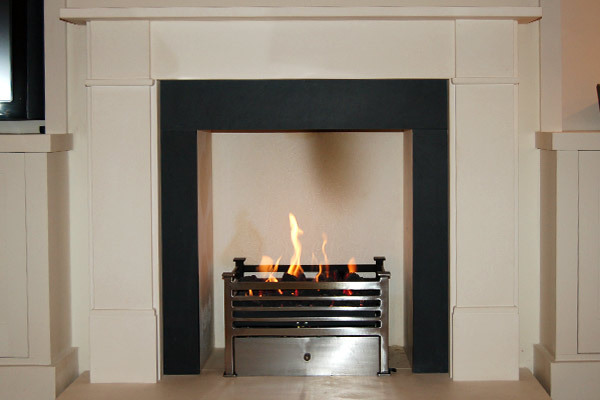 Not all fireplaces need to be grand or expensive and at The Billington Partnership, we pride ourselves on being able to source and design the exact wishes of the client as well as keeping within a desired budget. And so this was the case with Guy and Lou from London who asked The Billington Partnership to design and install a simple yet elegant fireplace, one that complimented their beautiful home and created the right centrepiece for their room. Through good communication and our high aspiration of customer service, we were able to achieve their wishes quickly and within the timeframe set. One of the innovative designs Lou wanted was to line the chamber in matching limestone. This meant a lighter feel to the fireplace but also produced a wonderful effect at night when the flames reflect off the limestone into the room. One of Guy’s wishes was to have a remote controlled gas fire. We duly obliged and he has told me that it is most favourite gadget!